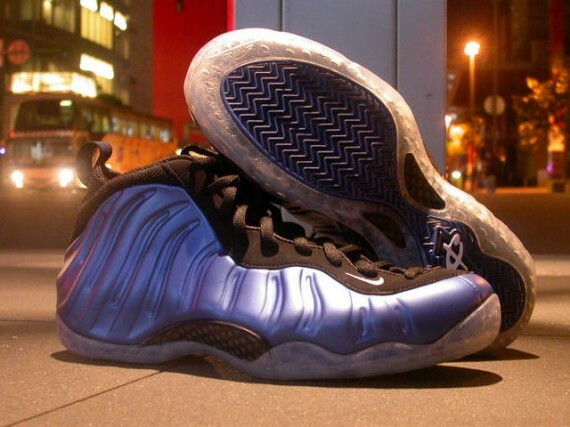 Yet another detailed look at next year's release of the "Penny" Air Foamposite One. 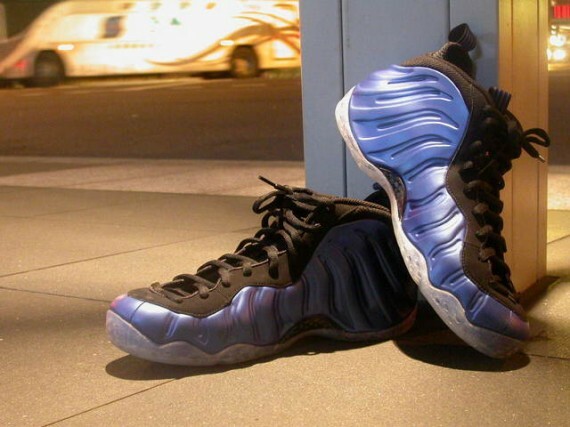 Now I'm sure most of our readers have already had a good look at the upcoming release of the original Air Foamposite One. However, yet another look is never a bad thing. 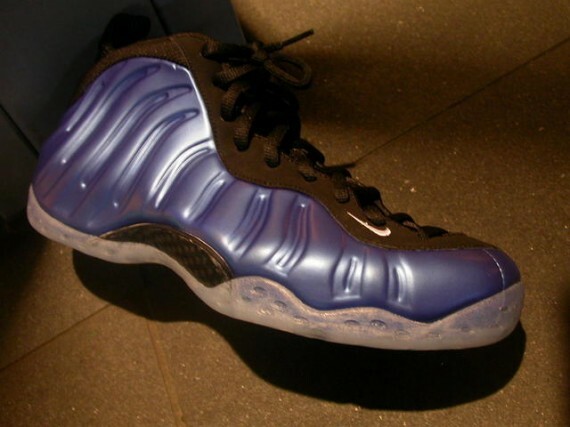 Slowly but surely, the upcoming Retro of the original Air Foamposite One is becoming the most anticipated release of 2011. 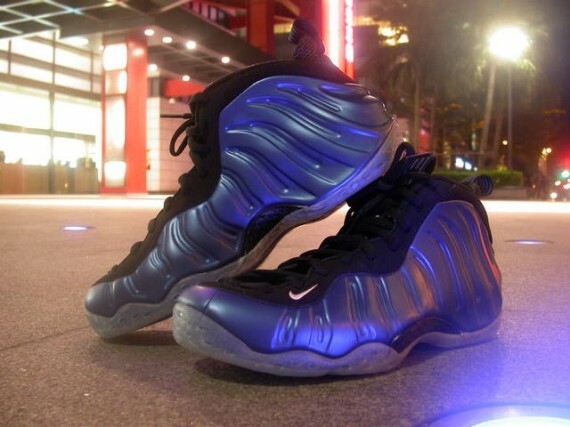 As you know, the original colorway of the Air Foamposite One is inspired by the Orlando Magic team colors, which of course was worn by Anfernee "Penny" Hardaway in his days with Orlando. 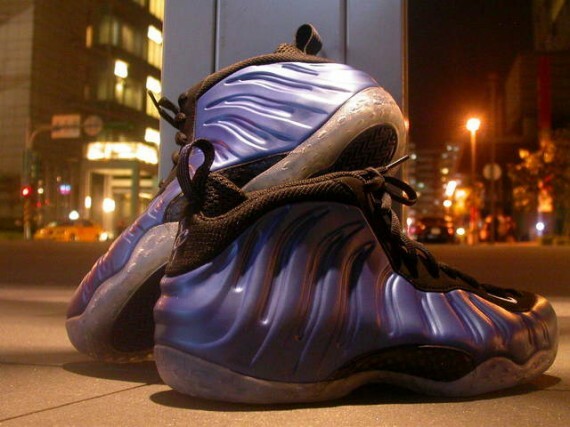 Dark neon royal covers the Foamposite constructed upper, along with black working along the eyelets, tongue and ankle area. 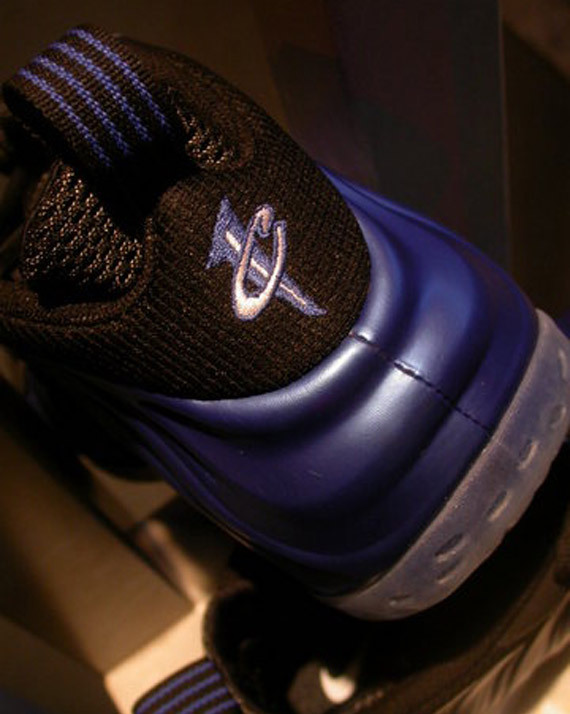 Of course, Penny branding is still present on the 2011 retro release,taking place on the back heel area. 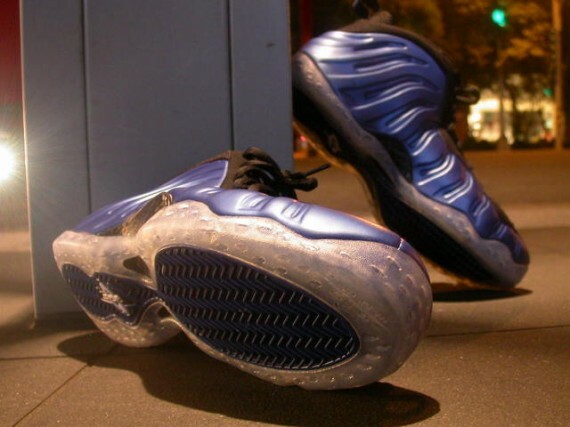 The "Penny" edition of the Air Foamposite One is set to release February, 2011.